Tie Guan Yin (铁观音, “Iron Boddhisatva of Mercy,” or simply “Iron Goddess”) has several grades, but what do those grades mean? We wanted to take a closer look. 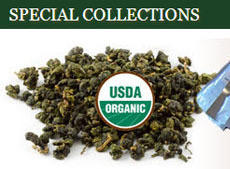 So, we checked with some oolong experts out there. Always a good thing to do. First, though, this article is not a rehashing of the origins of this tea. You can get that in a lot of places. The number of grades of Tie Guan Yin seem endless. And the names for the grades also seems quite varied, with flowery descriptions of them abounding (one of the neatest was: “a refreshing kick you might otherwise only get from a bubbling brook in the Himalayas; it evokes a cool-mountain-air feeling reminiscent of spring, no matter what time of year it is.”). The very best grades: “Monkey-picked,” “Special Grade,” “Selected Grade,” “Master Grade,” “Premium (Competition) Grade,” “Emperor’s Delight,” “Fancy,” “AAA,” and so on. In-between grades: “First-grade,” “Grade A” (sub-divided into 1A, 2A, etc. ), “Grade B,” and so on. Lowest grades: If no grade is specified, you are probably dealing with a lower grade tea, but that’s not always the case. 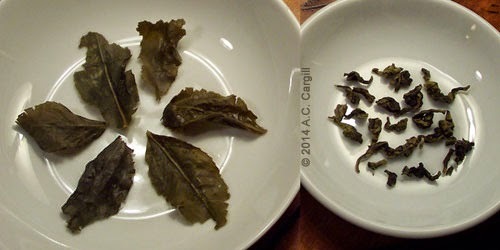 There seems to be no standard way to grade tieguanyin teas. One source says that the grading is varied with “many different classes” that are set according to their flavor, the best ones (supposedly) being the highest priced, plus the fragrance/color of the infused liquid and the shape and color of the dry tea. Generally, you can look for these qualities: The leaves should be sturdy and consistent in color and size with a freshness to their appearance; the aroma should be orchid-like and fairly strong, best determined by infusing some in a gaiwan and then smelling the aroma on the lid (don’t go by the scent of the dry leaves, which can be quite misleading; the liquid should be clear and pure but can vary in color from a golden color to a yellowish green; hold a sip of tea in your mouth awhile to see if it gets better or worse; a sweet aftertaste with the orchid aroma lasting awhile. 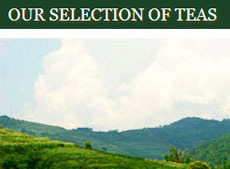 There are also special tea masters said to process the best grades of Tie Guan Yin, and their name will be included as part of the tea name, with good reason. There are quite a few steps involved and can be mastered only after many years of training and experience (see a list here). In addition, the amount of roasting varies from light to dark, and which is best is up to your personal preference. There are also aged versions, ones that have been carefully stored to help them develop richer flavors. Sometimes a specific area is named such as the famed tea growing Nanhu Mountain range and the area near the town of Xiang Hua in Anxi County. And the harvest season is a factor in grading, with Spring harvest considered the best, Summer the worst, and Autumn being in-between the two. 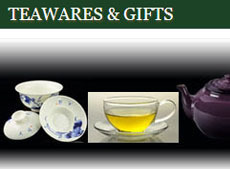 One thing is for sure – Tie Guan Yin is big business. So much so that Anxi County has a China Tea Capital ( 中国茶都; Zhongguo Chadu) – a large center dedicated to showcasing this tea. Top versions have set record prices due to their quality and limited availability (and a few marketing ploys). Our recommendation is to zero in on the ones that are medium priced, order a sample pack, and give it a try. But then, that’s a good thing to do with any new tea you come across. 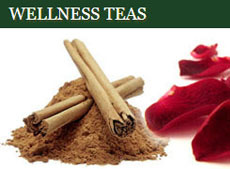 And why we offer samplers of various teas.